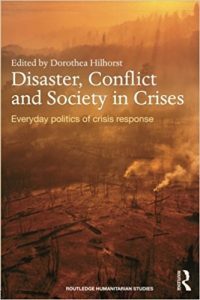 The Routledge Humanitarian Studies series is a collaboration with the International Humanitarian Studies Association (IHSA). The series editors are Alex de Waal, Dorothea Hilhorst, Mihir Bhatt and Annette Jansen. The series takes a comprehensive approach to the growing field of expertise that is humanitarian studies. This field is concerned with humanitarian crises caused by natural disaster, conflict or political instability and deals with the study of how humanitarian crises evolve, how they affect people and their institutions and societies, and the responses they trigger. We invite book proposals that address, amongst other topics, questions of aid delivery, institutional aspects of service provision, the dynamics of rebel wars, state building after war, the international architecture of peacekeeping, the ways in which ordinary people continue to make a living throughout crises, and the effect of crises on gender relations. This interdisciplinary series draws on and is relevant to a range of disciplines, including development studies, international relations, international law, anthropology, peace and conflict studies, public health and migration studies. Please contact the Editor, Helena Hurd (Helena.Hurd@tandf.co.uk) to discuss book projects. 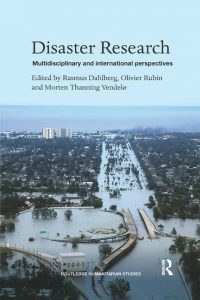 This book brings together in one multidisciplinary volume the key approaches in disaster research. 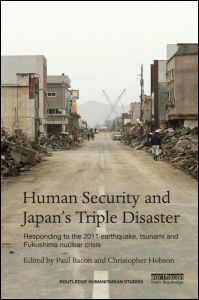 It is structured thematicallyaround key approaches to disaster research from a wide range of academic disciplines including the law of disasters, disaster historiography, disaster politics, disasters as culture, anthropology of disaster, organizational theory of disaster management, and disaster psychology. Edited by Paul Bacon, Christopher Hobson and Robin Cameron. 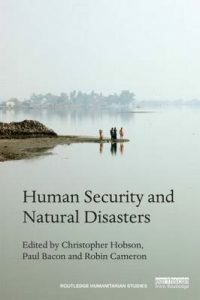 This book develops human security not only through extending it to natural disasters, but also by demonstrating how it can be developed by adopting an interdisciplinary approach. To date, the interdisciplinary dimension of human security has not received sufficient attention. The book demonstrates the value of drawing on a wide range of voices and examines the vulnerability of social groups and communities in the event of a disaster, and how they collectively empower themselves to prevent, respond to and recover from disasters. 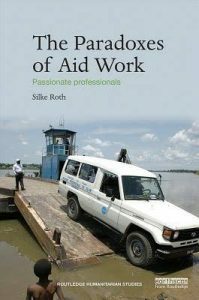 This book sheds light on why and how new humanitarian actors engage in humanitarian action and how their humanitarian activities are perceived in their (transnational) organisational environment. 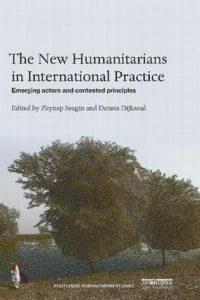 It provides detailed international and empirical comparisons between the ‘new’ humanitarians and traditional humanitarian actors, in particular those which focus on the relative level of commitment to humanitarian principles. It thus elucidates the role of the humanitarian principles in promoting coherence and coordination in the crowded and diverse world of humanitarian actors.